After breaking one of the biggest rules in derby (not to mention an actual collarbone), Knockout and Can-Can are back on the track! But they have a lot of rehab to do, both on their battered bodies and their reputations in the league... Will their friendship survive the dreaded derby drama? 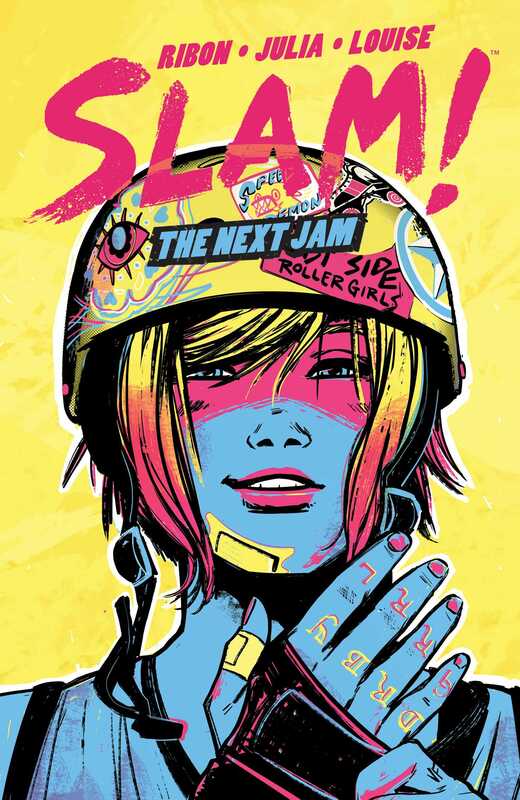 From bestselling novelist, screenwriter, and Los Angeles Derby Doll Pamela Ribon (Disney's Moana, Why Girls Are Weird) and artist Marina Julia (Lumberjanes: Faire and Square) comes the round of SLAM!.